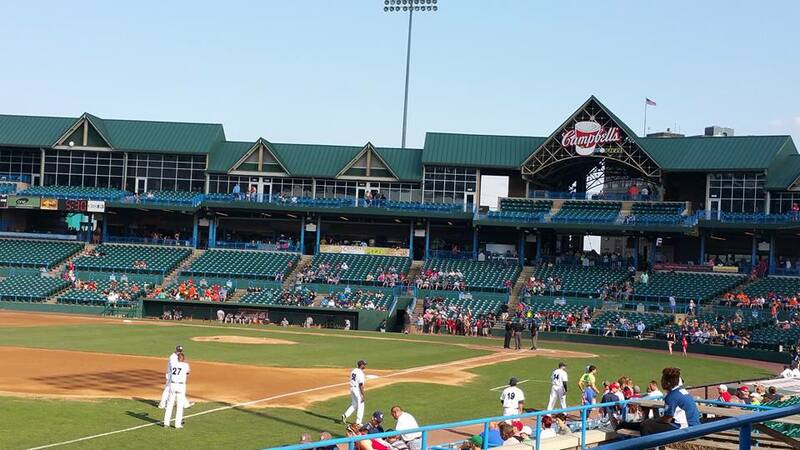 What It’s Like To Go To A Baseball Game With A Cochlear Implant + EXCITING NEWS! It’s really been a long while since I wrote anything. Rest be assured, I am not abandoning this blog and I am definitely not abandoning my book project. I’ve just been extremely busy with work lately. There’s been quite a few changes happening lately which are very exciting but have also taken up a bit more of my time, attention, and focus. Also, Larry and I are coming up on our 1 year anniversary together. We are planning to celebrate by spending a weekend together in Lancaster. It’s something very important to us that we are both very excited about especially since we don’t get to see each other very much with him being a truck driver constantly on the road. However, as with everything in life, this is going to cost money. With that being said, I’ve been picking up quite a bit of freelance to help me save up and afford this little trip. Unfortunately, there are only 24 hours in a day. With my full time job + freelancing and my personal life, there just hasn’t been much time for updating my blog and writing my novel. But once our anniversary is over I’m hoping to be able to cut back on freelance and dedicate more time to this project. So anyways, back to the subject of this post: What It’s Like to Go To a Baseball Game With a Cochlear Implant. 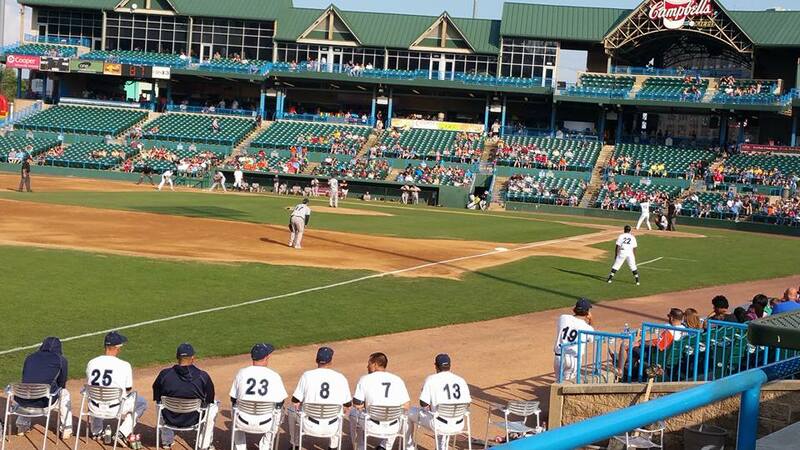 I went to a Camden Riversharks game with my church, Washington Baptist Church back in July. I’ve most certainly been to baseball games before. My dad actually used to be a great baseball player and at one time played on the church team back when we still attended the Church of the Nazarene in Pitman. 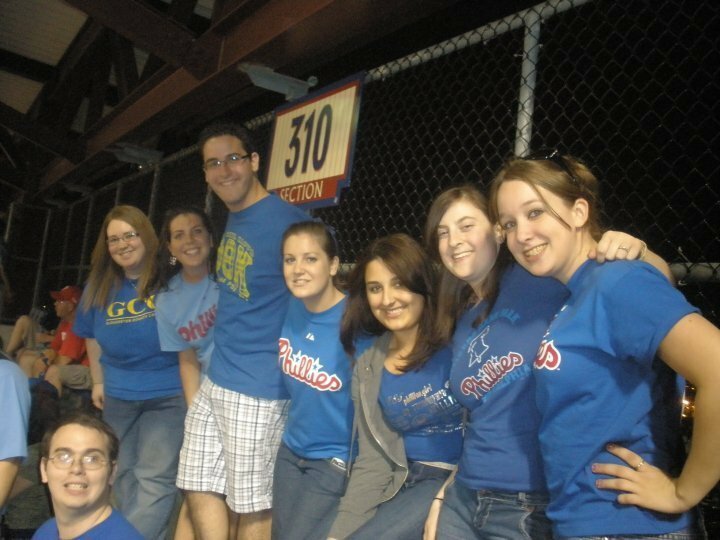 Also, I went to the Phillies game with Student Government back when I attended Gloucester County College (now known as Rowan College at Gloucester County back in I think it was 2010. However, I never had an experience quite like this before. 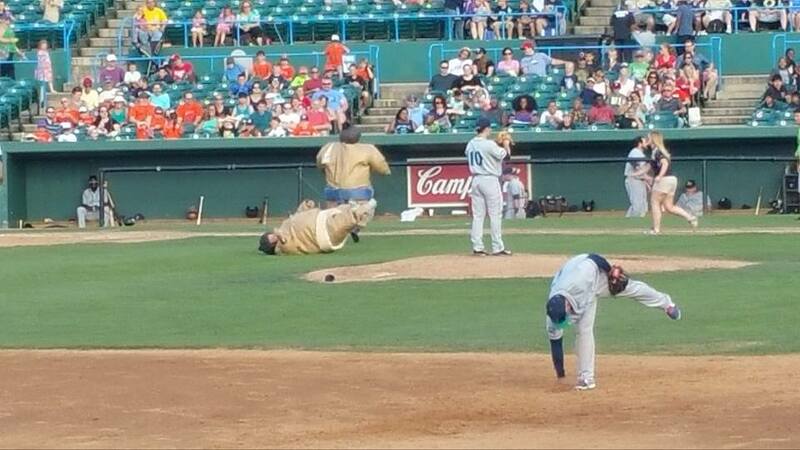 Baseball games were always kind of boring for me in the past. They were kind of hard for me to follow and get into, probably because I could never really hear anything and fully grasp what was going on. I couldn’t hear the announcers on their loudspeakers. I couldn’t hear any of the music they played in between innings or whatever. Actually, I didn’t even know if they played music at all. I always wondered if “Take Me Out to the Ballgame” was ever really played at baseball games or if it was just a kid’s song/a myth. 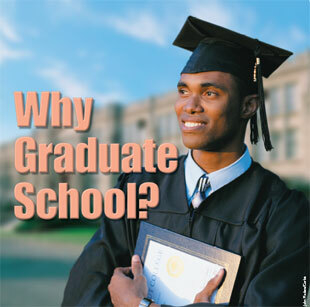 I could never hear well enough to know. I was really pretty excited to go to the Riversharks with my church and to see how things would be different with my cochlear. Unfortunately, Larry couldn’t make it like originally planned due to work, but I was able to go with my parents. My dad has been to my church on a couple of occasions but my mom never been, so I was excited for her to finally get to meet some people from church. Also, my family and I don’t get to go out and do things like this very much. My church rented a pavilion and there was an all-you-can-eat buffet so I knew it would be a special, fun treat for us all. 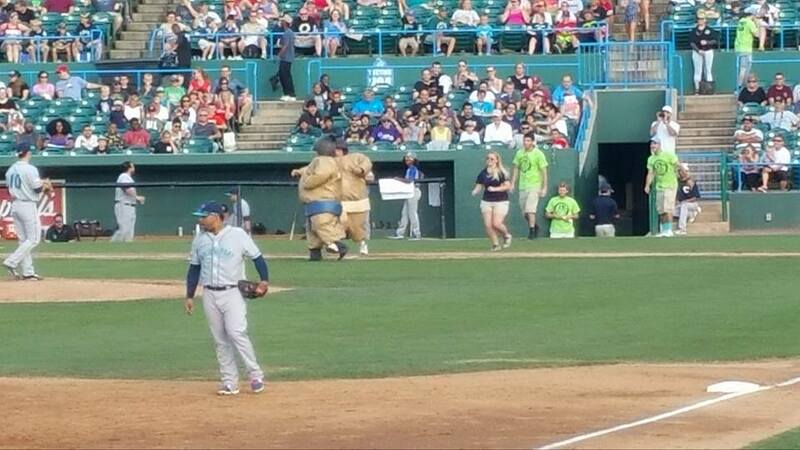 They even had sumo wrestlers! My first impression upon entering Campbell’s field was “Wow, this is pretty loud!” I actually had to switch my cochlear to setting #3 which blocks out the maximum amount of background noise. I don’t think I’ll ever get used to things being too loud lol. My family and I met up with my church straight away and Pastor and his wife and some other members of the church all introduced themselves to my family. I was happy and surprised that I could actually hear everyone. 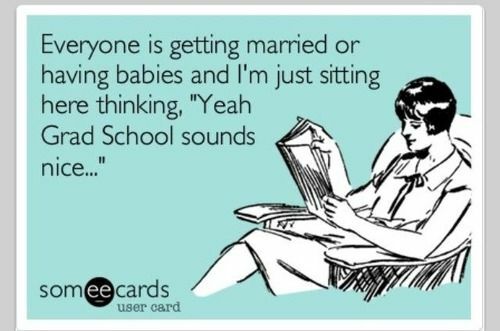 It wasn’t awkward like it would have been prior to me having my cochlear. When we got to the pavilion I was kind of overwhelmed by all of the sounds. I could hear everything! Even things I never imagined I’d hear or ever really gave any thought to. My mom got the biggest kick out of asking me “Can you hear that? Did you hear that?” lol. I don’t think that’s ever going to get old for her. It was 90’s night, which was a real treat for me being that I am a 100% 90’s baby. They played 90’s songs and 90’s music videos throughout the night and I recognized and knew the words to almost all of them. I sang along a lot to Backstreet Boys, Britney Spears, Smash Mouth, and Outkast (although I was quick to point out that Outkast was most certainly NOT from the 90’s….more like 2005ish. My mom loved watching me sing along and bob my head to the music. She even said at one point, “I didn’t think I’d ever see the day when you’d be able to bob your head to the music at a baseball game” and how right she was! I was able to hear more delicate or less obvious sounds, too. Things like the sound of the ball landing in the catcher’s gloves, and the sound of the bat hitting the ball. I could also hear every word that the announcers said. It was pretty exciting! Pastor and his wife came by to our table to speak with my parents and I right during the last inning. It was nice to be able to have a conversation and not constantly have to say “What?” or, “I can’t hear you”, or worst yet, completely give up on the conversation. The last time I went to a baseball game back with GCC’s student government I had a great time, but I don’t remember really talking to anyone much once we got inside the stadium because it was too loud and I couldn’t distinguish between the sounds — it was all just loud noise. So this was certainly a nice change/improvement for me! Oh, and before I forget, as I mentioned in the title I do have some exciting news!